Want your tree top to be just as beautiful from the back as from the front? 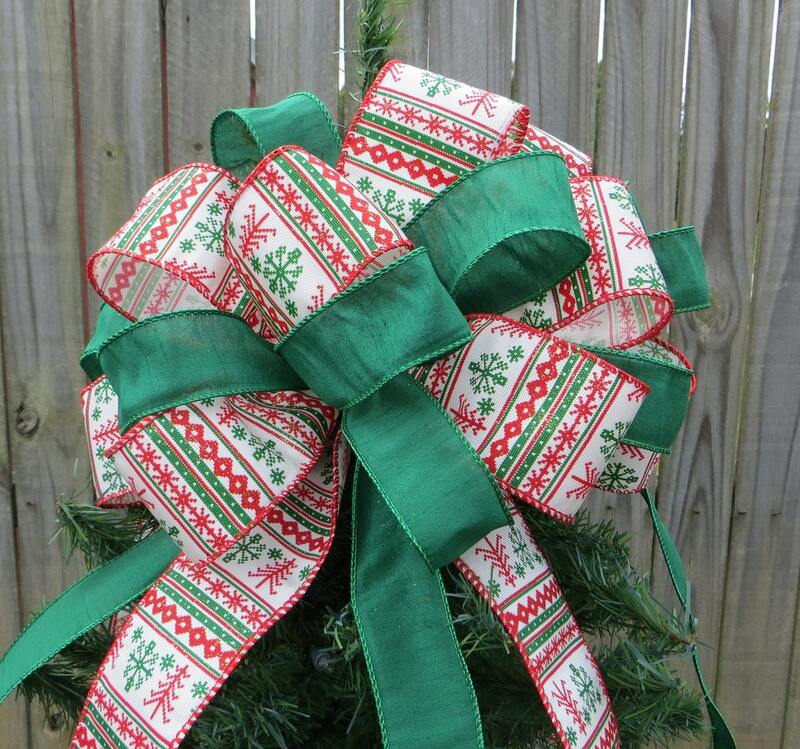 This fun, very cute treetop bow is for you! 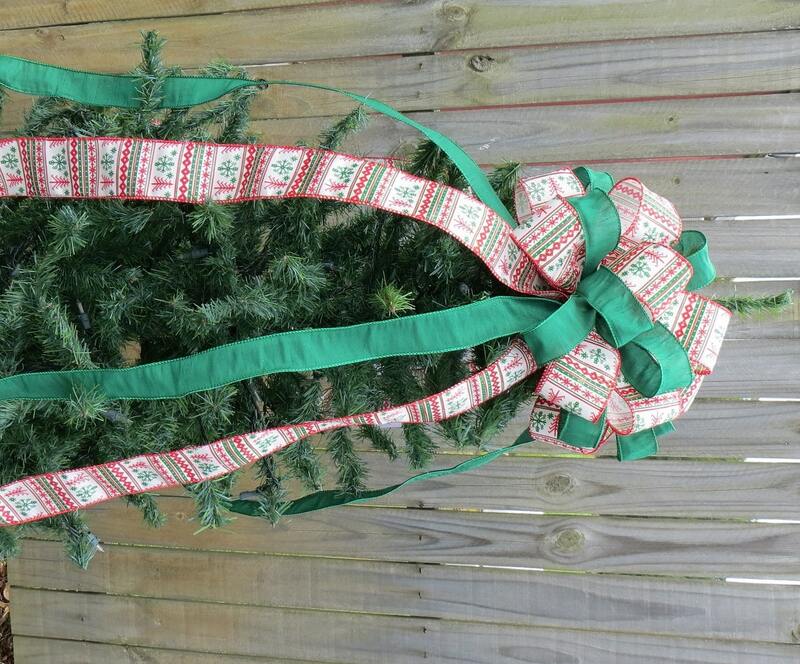 The bow comes in two pieces but creates the illusion of a seamless bow all the way around your tree top. 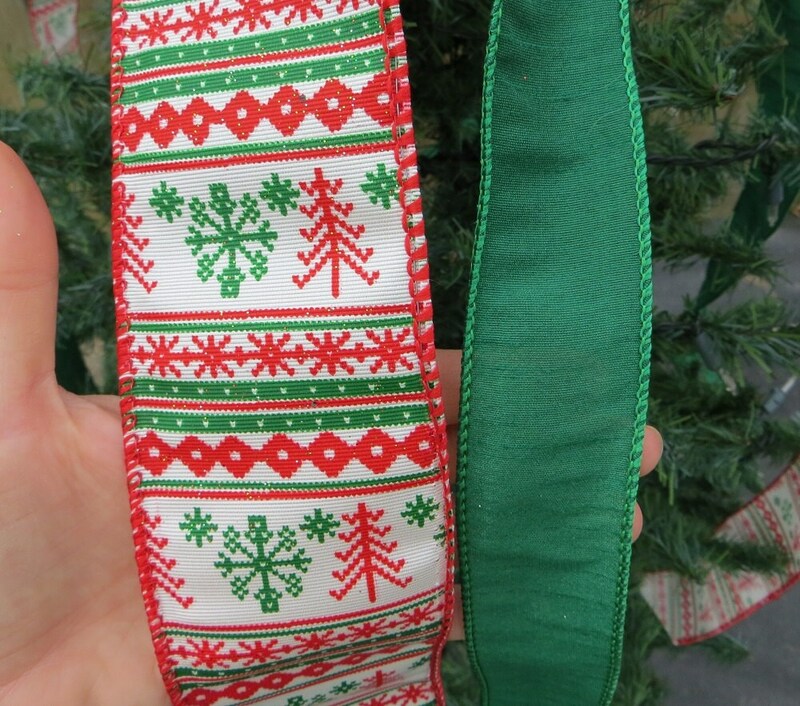 This bow is made with a lovely wired ribbon in an old fashioned sweater pattern and a coordinating faux silk emerald ribbon. 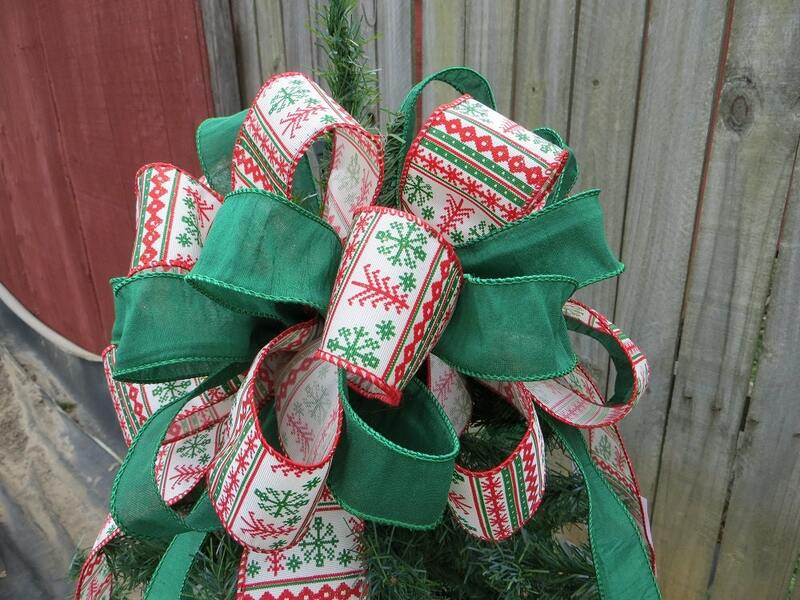 -Each bow has a diameter of 12"
**This listing is for two bows that are fluffed and ready to put on your tree. We can also ship this bow flattened for a reduced cost. Please convo me with your zip code before you purchase if you are interested in this option and I will send you a shipping quote.